Fired "Grey's Anatomy" star Isaiah Washington is not going away without a fight. In an interview with Houston Chronicle, the actor claims "there is no way in his heart he could be homophobic" and says T.R. Knight should have been fired because he manipulated the entire incident to "get himself a raise and stop being perceived as a dopey character and become the leading man." "I used the word during a disagreement with Patrick. I apologized for that. We shook hands and went back to work." "I am considering a lawsuit. My livelihood, my honor and dignity and my name have been so challenged." "I did everything I said I would do. I offered to go to counseling, to do a public service announcement. I wanted everyone to know I was remorseful." "My use of the word at the [Golden Globes] awards ceremony was taken out of context. I was responding to a reporter's question about whether I had used the slur." "That was a shock. I did everything they told me to do, including not saying anything, and then they didn't renew my contract. That's not fair." "I'm not angry. I'm disappointed." You really put this story up face Justin lol. I really do enjoy reading your blog though, and surprised you didn't put your own opinion on story yet. The only thing I give Isaiah credence for is that ABC/Touchstone gave him false hope about keeping his job, but this getting out of hand. Now he is attacking T.R. George honestly has always gotten more screentime than Burke(if that what Isaiah is imply). George is in fact one of the leading men on the show. He gets more screentime than Bailey and Alex do. He is a, IMO, to a degree a leading man. Plus Isaiah wasn't put out of context at the Golden Globes. They have footage from that press conference. They even posted it most of the press conference official GG site. That question wasn't toward Isaiah. It was toward Shonda Rhimes, and he took the microphone from her. The question was about tension on the set, and the questioner which I believe was Ted Casblanca from E! Online didn't even mention the slur word in his question. Isaiah put upon himself to bring up the slur word. Ugh...this is infuriating and due to this interview he going to put the cast and especially T.R. on the spot to either reply to his attack or to let it pass by. LOL, Ah IW, that is how it goes in ShowBiz. Insult one of the priviledged and your gone. Remember, Freedom of Speech does not apply to insulting liberal protected groups, it only applies to when you are insulting, CONSERVATIVE-protected groups. Keep that in mind if they ever give you a chance. For my personal comment on the issue, whether or not he wins, I really hope he makes up a very big fuss about this. I say the more negative a picture he paints, the better. Plus, this is entertaining. He's a liar and a homophobe. What a great person! And he's also talented. He admits he used the f word and put the blame on TR. Man, this gets me sick. TR didn't said anything until IW had that fight with Dempsey. After that he only told people his side of the story. And now TR should get fired? What a sick man! It's pretty clear he did all this to keep his job. Now he's disappointed because he pretend to be sorry and didn't get keep the job. Okay, I find it interesting that IW would outright lie to a publication. It has been reported in many sources what actually transpired on the set, and it has been recorded what transpired on the press stage at the Golden Globes. How can he outright lie like he is doing and people to believe him? He's a total idiot. What IW is doing now is making his name more and more likely to be blacklisted in Hollywood. He's going to have a harder time finding a job now than ever. I'm happy ABC did this, because IW never learned from his errors from his past indiscretions with other co-stars in his other projects where his anger flared up and out of control, accordingly. 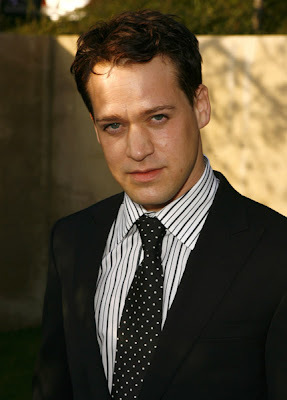 And now he's bringing blame to TR Knight. Good going, IW. You just made yourself look like a total fool of an actor, even more so. Good riddance. There are other better African American actors out there who are pro-gay and gay friendly. Bring them on, I say! For the past 9 months or so tension on the Greys set must have been high. Imagine what it was like with IW around knowing what he had done and now they'll have the opposite effect of returning to work in a few weeks but hearing all of this in the press. It can't be very nice. What I find intresting if that if he had put down the entire White Race, we wouldn't be having this discussion. I'm just a little tired of the gays getting all this special treatment. If you fire a guy for insulting a gay, then you should fire anyone who insults any group of people. Political Correctness is really just going a bit too far, IMO. So what, what he said was wrong and immature. If I fired everyone who spoke immaturly and hateful, the Democrats would not have control of jack right about now. Its just a double standard like I've been saying. You get fired if you insult a gay person in any way, but if you DON'T regularly bash Christianity, you are considered to be bigoted and homophobic by the left wing media. The word Homophobe itself is overused, thrown around like a racial slur itself. What is sickening is that so many people are hypocritical in this sense, and they themselves do not realize that they are becoming no better then the people they condemn. Rationalization of the manner is the first sign. Secondary signs are, of course, telling yourself that the person isn't completely with it. Yup, oh my this is not good at all. Once the third sign kicks in, then its really bad. Lucky for me I got a nice selection of women to try to win over, so I don't have to go searching on the net. Stop wasting your time on the Internet and get to it. Where's the rush? We should all be ok. The only thing that should put a rush on it now is if another democrat gets into the White House. Then its time to live for today cause there might not be a tomorrow. i wish JJ had a blogger identity so i could address this to him directly. JJ, i have read all your comments on this issue and, ignoring the spelling and grammar mistakes, find that you are rather baseless in your accusations and statements. As someone who is not american and therefore able to be objective about your country - even though i don't like George W. Bush but not because he's a republican instead because he really has no sense, i can't see how this situation with IW and Grey's is similar to the Christian debate. I admit that both do deal with Political Correctness but thats the only similarity. You continually compare them on this blog that is not a news source per se, but someone's personal blog that just happens to be about entertainment stories. i won't comment on specific things you've said but i will say, please take this out of the blog. those of us who read it read because we want and like justin's take on the things he "reports" and that is that. Also make sure you have your facts straight before you talk. it's irritating otherwise. I only give the link to my blog out to people who will actually learn from it. I got all my facts straight. BUT, of course, you have to have straight facts to recognize them. So I can pardon your misguided arguments. Let me get this straight, I am not free to challenge Justin's views when he injects his own personal views into things? You democrats, always trying to silence the other side. Also, Bush may have no sense but I'd take an idiot over pure evil anyday. So with someone who isn't even open to free speech, why should I give out the link to my blog? So..what did you notice JJ?..